Muscle Activation Technique Plano: What is MAT? What is Muscle Activation Techniques (MAT)? Here at Muscle Activation Fitness, we use MAT as a GPS for the body. This is a system to find and correct your muscle imbalances that can lead to tightness, pain, and lack of performance. It began with Denver Broncos Biomechanics Consultant, Greg Roskopf about 15 years ago. He helped both John Elway and Payton Manning stay in the game for as long as they did. 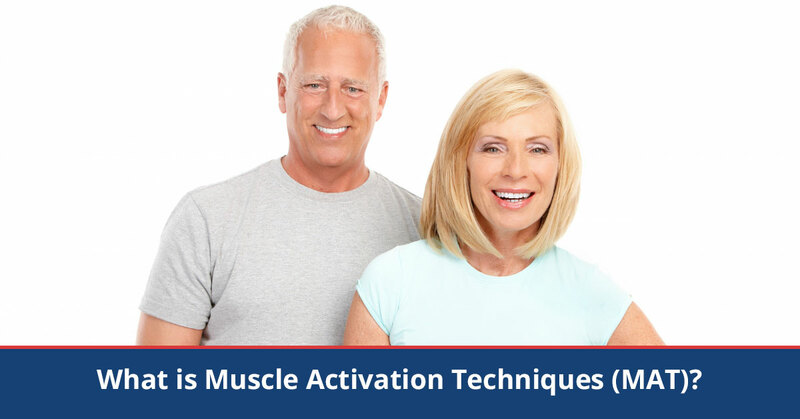 At Muscle Activation Fitness, our desire is to forge your body through Muscle Activation Techniques and science-based resistance personal training. You know when you are driving in your car and your alignment goes out, and there is uneven wear on the tire? The tire marks are the symptom of the bad alignment, right? Well, we believe that tightness is the symptom of bad alignment in your body. This bad alignment happens from overcompensation in other areas of the body. Certain muscles take over and try to take on the work for other muscles. It’s like B team stepping up for the A team. It just doesn’t work. So we go in, check out your alignment, find muscle imbalances and strengthen the weakness that exists in specific muscles. When we do this, your compensation improves and you may find that the tight muscles can relax and the painful areas in your body can heal naturally. Our goal moving forward is to use personal training to strengthen those muscles even more. Muscle Activation Fitness in Plano, TX is here to serve you to the best of our abilities to create the perfect environment so you can feel, move, and perform better.